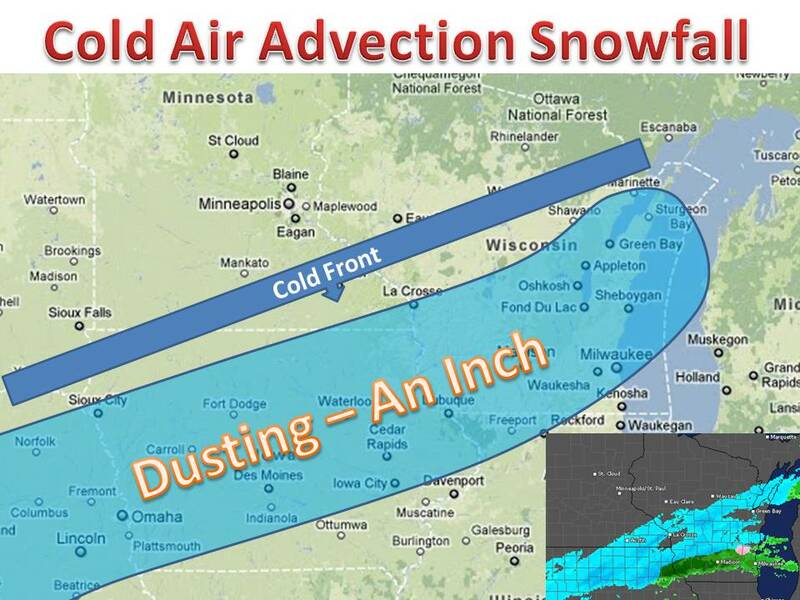 A cold front will provide just enough lift for snow to occur throughout the midwest tonight. 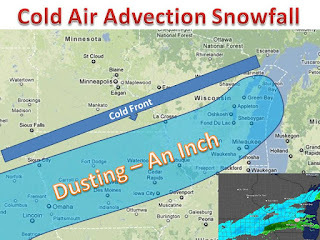 Up to an inch can be expected is most places, maybe an inch and a half in isolated areas in the heaviest bands. The snow will fall mainly during the overnight hours (11:00pm-11:00am) and will accumulate during the early morning hours. Look for slick roads, as this may be the first snowfall of the year.